Christmas in the Philippines can mean one of many things: endless family reunions, traffic from hell, shop ’til you drop days and Christmas lights all over! 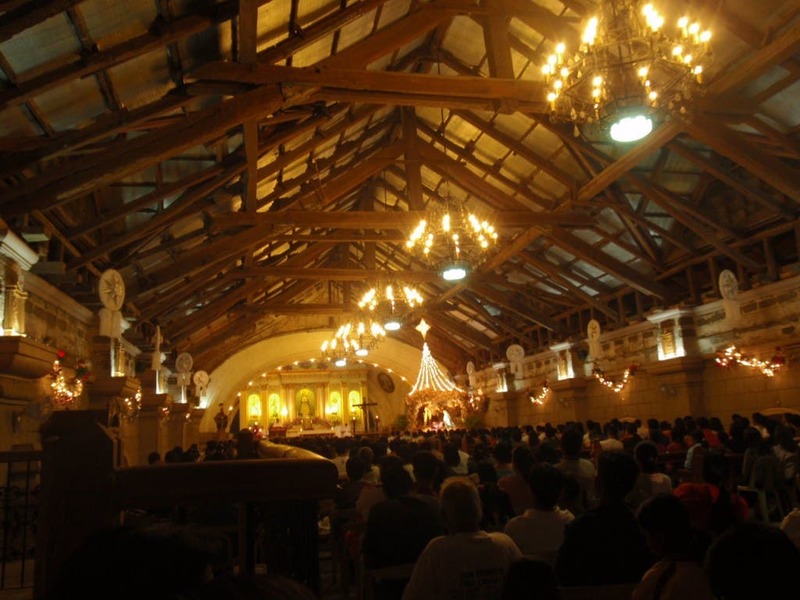 Though there is definitely one thing you need to experience if you ever spend Christmas in the Philippines: Simbang Gabi (Night Masses or Midnight Mass)! Simbang Gabi is a Filipino tradition that translates into “Night Masses ” or “Midnight Mass.” It’s one of the longest and most popular among Philippine traditions. 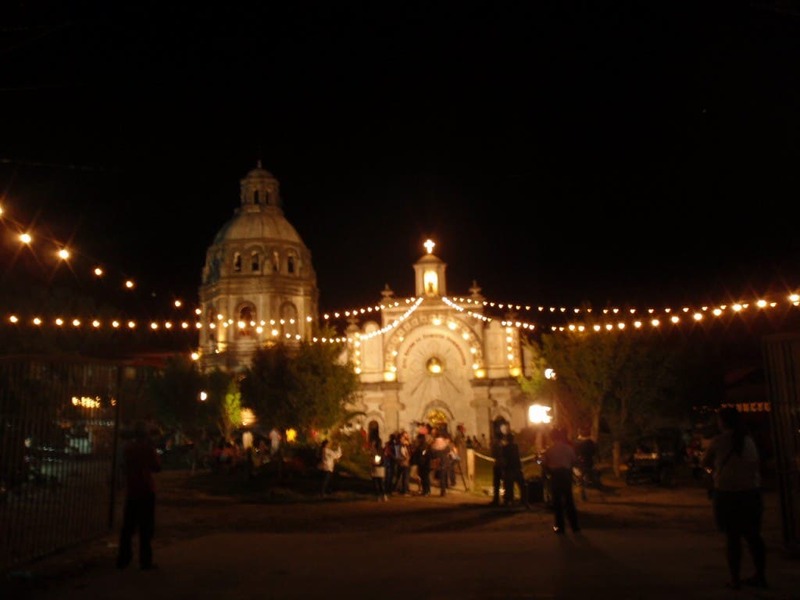 These Night Masses, or Masses at dawn (which is more like what it is), is a nine day series of masses at Catholic churches where the mass begins at dawn (around 4am). For nine days, before Christmas, people would wake up in the middle of the night to go to church. Churches and streets would fill up with people. To make this tradition even more special are the lights and colorful lanterns used to decorate the churches and streets where people gather. Beautiful handmade Christmas lanterns, locally called “Parols,” are displayed on every window. Families, friends and strangers gathering to attend mass together. Christmas songs being played around every corner. And of course, the local delicacies of Filipino foods like Bibingka, Puto Bungbong, Queso de Bola (cheese) and more! Anyway, though I’m not a very religious person, I was thankful that I got a chance to see this gathering at dawn. I was invited, along with my other blogger friends, to attend the final night of “Simbang Gabi” in Pampanga, two hours south of Manila. Pampanga is known as the Christmas capital of the Philippines because of the beautiful lights, colorful lanterns and most of all, the Christmas feel with the locals and friendly people. So it’s only fitting that I spend my first Simbang Gabi down there. I must admit, it did take some convincing to get me out of bed at that early in the morning. Thankfully I had a friend, from FlairCandy.com, who kept at it. We took a van at 2am and drove down to Pampanga,which again is about two hours away from Manila. We arrive there right in time as the clock hits 4am and the mass begins. The Church we went to was BEAUTIFUL! We arrived at the San Guillermo Church in Pampanga to be greeted by lights of wonderful colors and sounds of Christmas songs from the choir. 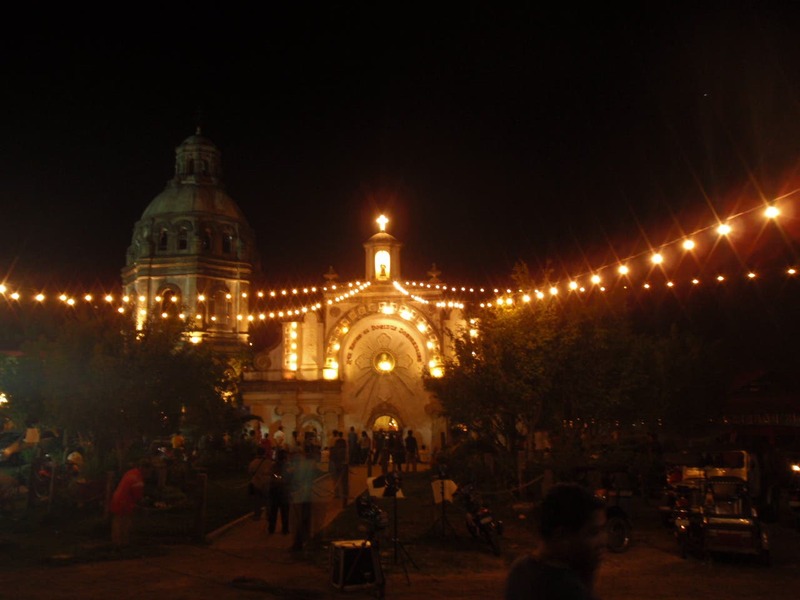 I started talking to one of the locals to ask more about what Simbang Gabi really is. He told me that it’s more than just a tradition to the Filipinos, but rather it is a time to spend with family and people we care about as they welcome the holiday season. He said that it didn’t really matter if you had the endurance to attend all nine nights of prayer. 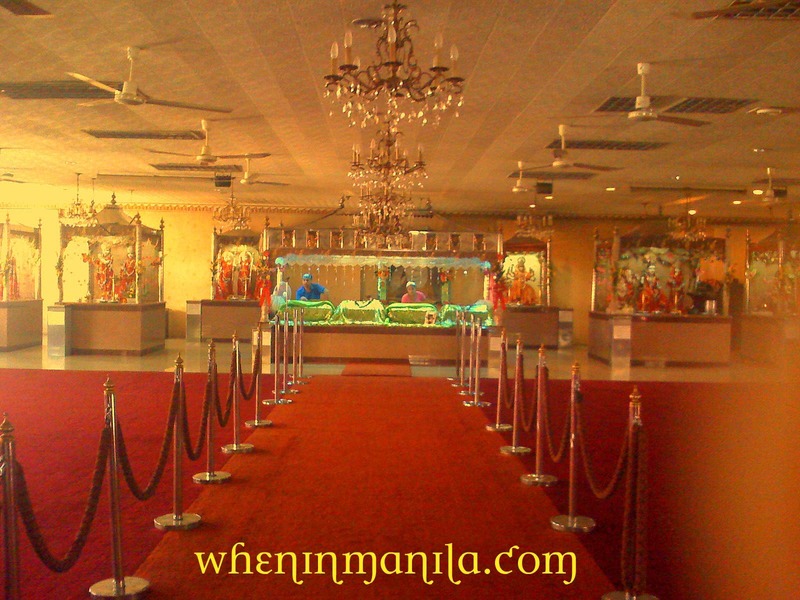 The blessing does not depend on the number of masses attended. Instead, “what really matters is what’s inside your heart,” my local friend said. So next time, When In Manila, be sure to experience a midnight mass or “Simbang Gabi” to really feel that Christmas tradition and spirit in you! *Thanks to Amor of GeiserMaclang and to Alex of Kraft for setting up this event. Part 2 will be posted soon! How about you, how’s your Christmas so far?